Today’s HR departments come in all shapes and sizes. Centralized. Decentralized. All HR services under one roof. Few kept internal, most outsourced. A recent article in the Wall Street Journal raises an interesting question. Do you really need HR? It profiles organizations that have decided to go without an HR department. Managers take full responsibility for hiring, firing, mediating employee issues, career development, etc. There are some executives in the article who love it. There are managers in the article who find it concerning. So, my question is, what does HR do for you? Would your organization be more nimble and innovative without it? Does it get in the way of moving things forward? 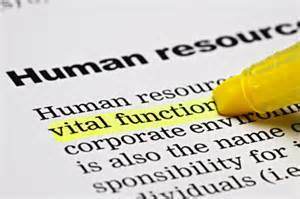 Is the coaching and resources of an HR department valuable to you as an executive and manager? Is HR valuable to you and your company? http://nextbridgeconsulting.com/wp-content/uploads/logo-2-new_lngc2.png 0 0 nextbridgeconsulting http://nextbridgeconsulting.com/wp-content/uploads/logo-2-new_lngc2.png nextbridgeconsulting2014-08-14 09:30:432016-12-25 04:53:19What Does HR Do For You?